If it’s Important, ENCRYPT IT! In today’s uncertain and data sensitive climate, its abundantly clear that your data is no longer safe. You never know who’s looking. The question now becomes, how do we protect our own data? We have designed, engineered and produced a patented, USB based real time, transparent, on-the-go hardware encryption and key management device we call Enigma. Enigma is compatible with both WIN and MAC operating systems and any USB protocol. Further, Enigma does not store data. Once authenticated to your computer or network, Enigma can monitor all data-on your PC, server, backup drive, NAS device, as well as all cloud storage applications. If you wish to share encrypted data with others, they must each have an Enigma and the password you used to encrypt the data. Otherwise, no one may ever decrypt the encrypted data. Encrypts data on PC, laptop, network, backup device, and all cloud storage applications! I keep a lot of confidential information on my laptop. I am usually very careful about keeping my laptop under close physical control but had an unfortunate lapse and left my laptop on a plane…that could have cost me dearly if not for the Enigma hardware encryption. I had encrypted the hard drive using Enigma and had backed up my data, which I encrypted and stored in the cloud. Enigma encrypts that data too. 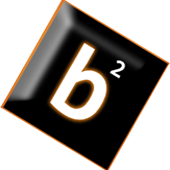 When I first learned about the BlackSquare Enigma project in February 2014, I was amazed with the level of technology and security that has been built into the product. It’s solid. 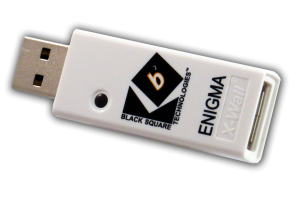 BlackSquare Enigma is an incredibly simple device that provides enterprise hardware encryption at a fraction of the cost. Instead of having to buy different products to protect your information, use one Enigma to protect all of your digital information. Fast, secure, flexible and inexpensive. An incredible solution for consumers and businesses. 70% of SMB’s who experience a data breach will go out of business in 6-9 months. While blaming companies, consumers aren’t any better at protecting information.